Tonight for dinner I made an easy chicken parmesan recipe that I discovered on allrecipes.com. 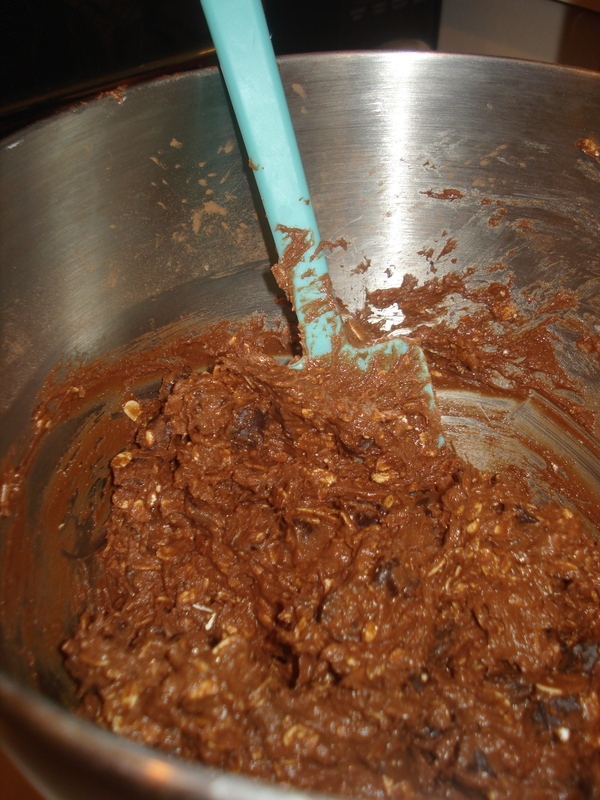 I didn’t make too many changes to the recipe. Chicken parm and eggplant parm are two of my favorite things to order at Italian restaurants, so I was pretty excited to find this recipe. I like it for a couple of reasons, first because it doesn’t take forever to make and second because it didn’t involve any breading or deep frying, so it wasn’t as heavy (or unhealthy) as so many other chicken parm recipes are. 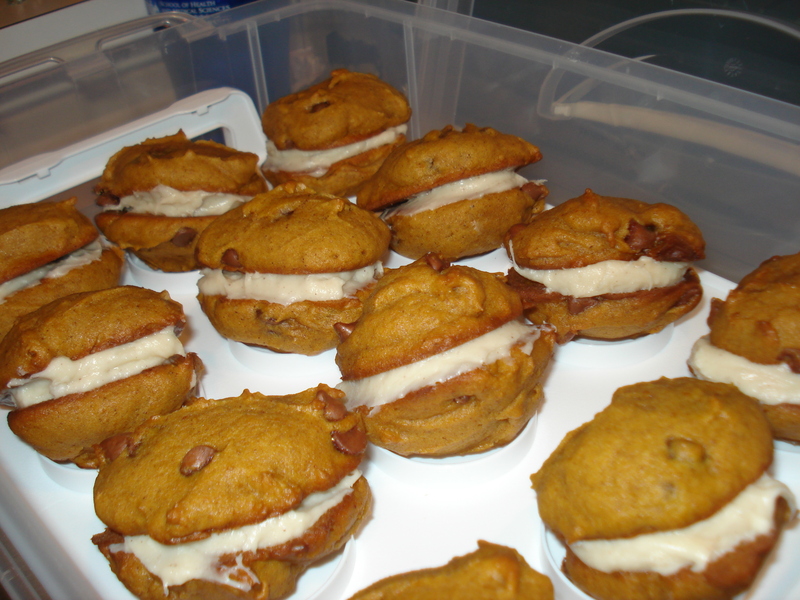 This turned out delicious, it’s a must try! 1. On medium-high heat, heat olive oil in skillet. Once hot, add garlic and chicken. 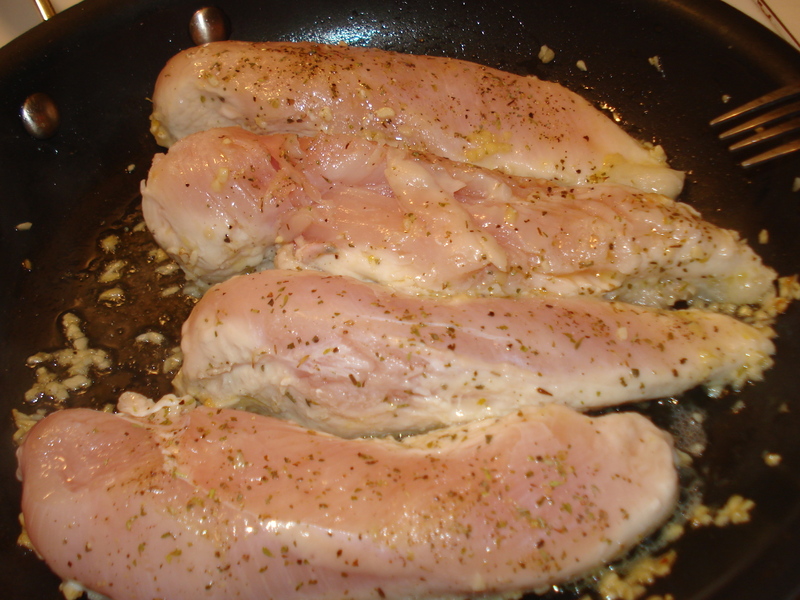 While chicken is cooking add pinch of salt, pepper, and italian seasoning to each side of chicken breast. 2. 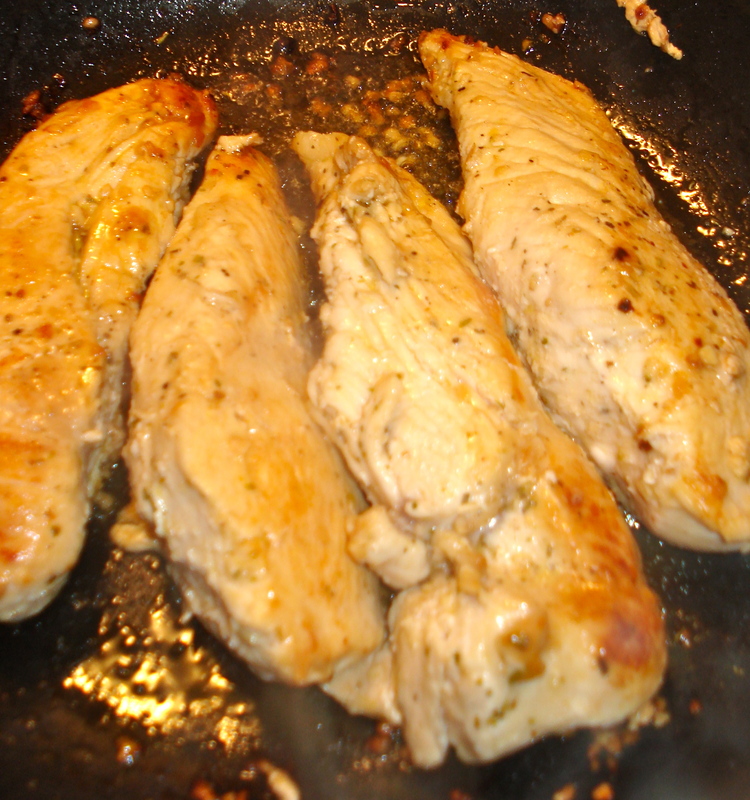 Cook chicken breast for about 15 minutes total, until each side is a golden brown. 3. Add pasta sauce and parmesan cheese. 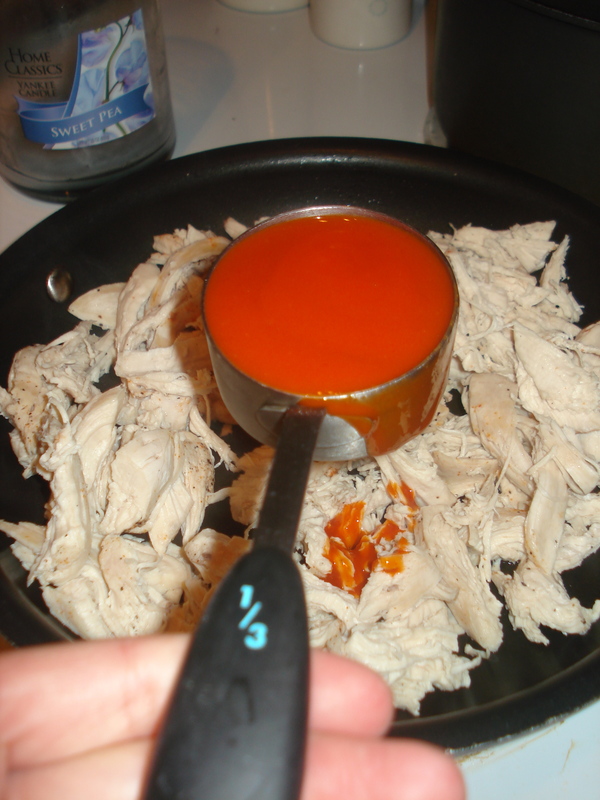 Reduce to medium heat, cover and cook for 10 minutes or until chicken is completely cooked through. 4. 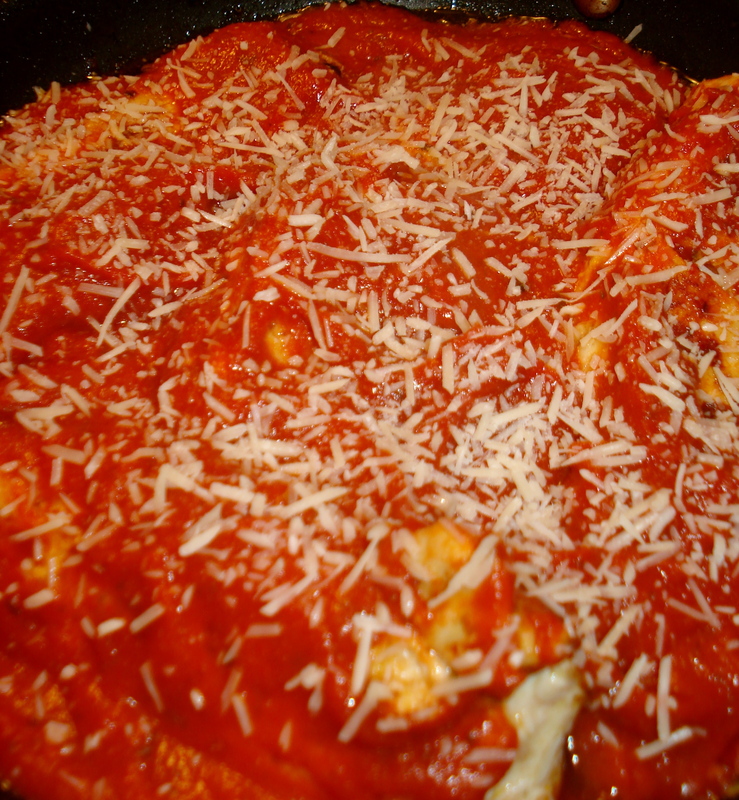 Sprinkle with mozzarella cheese and let stand until cheese is completely melted. Serve over pasta of your choice. 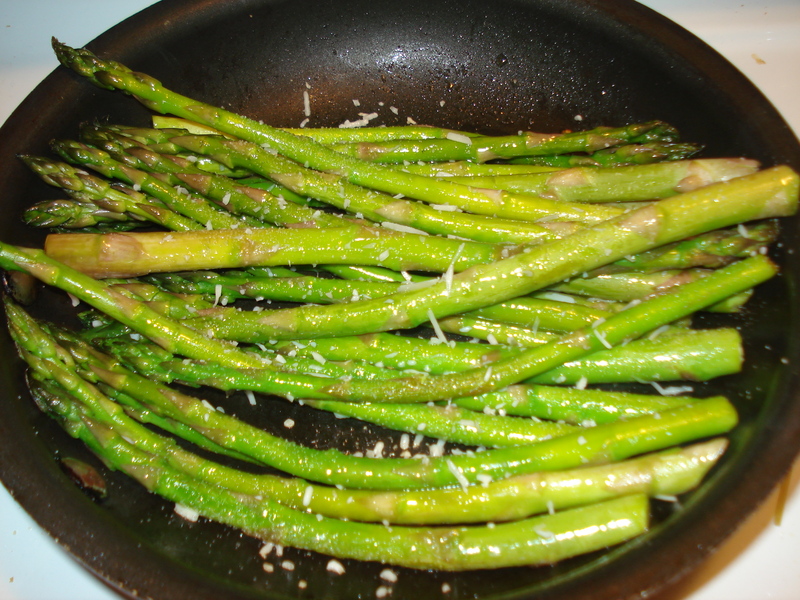 On the side I made some asparagus, that I cooked the same way that I made the zucchini with parmesan. It turned out delicious! 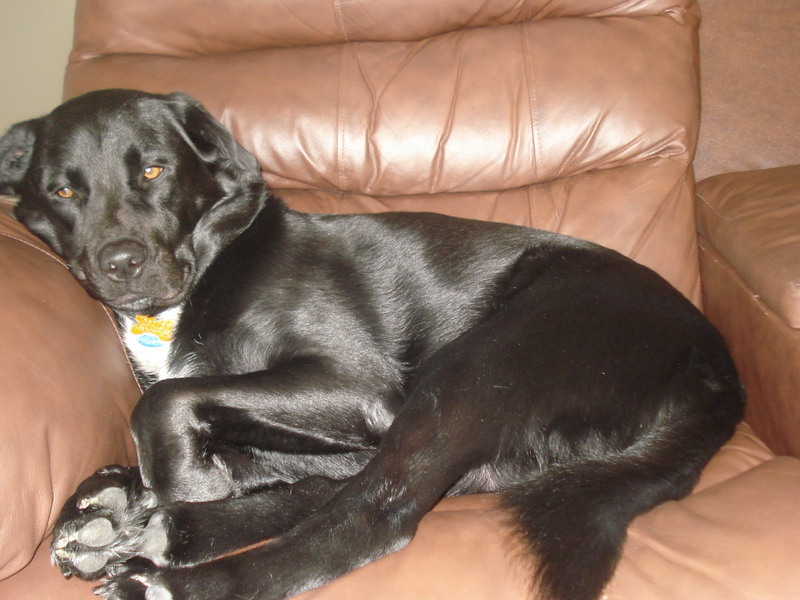 (Although Mina’s thoughts on the asparagus were – ewww whats that, those look alive). Tonights meal was a success! Tonight’s dinner was delicious and so easy! I will definitely be making this many more times 🙂 The whole meal was full of spice and flavor! I hope you enjoy it as much as I did! 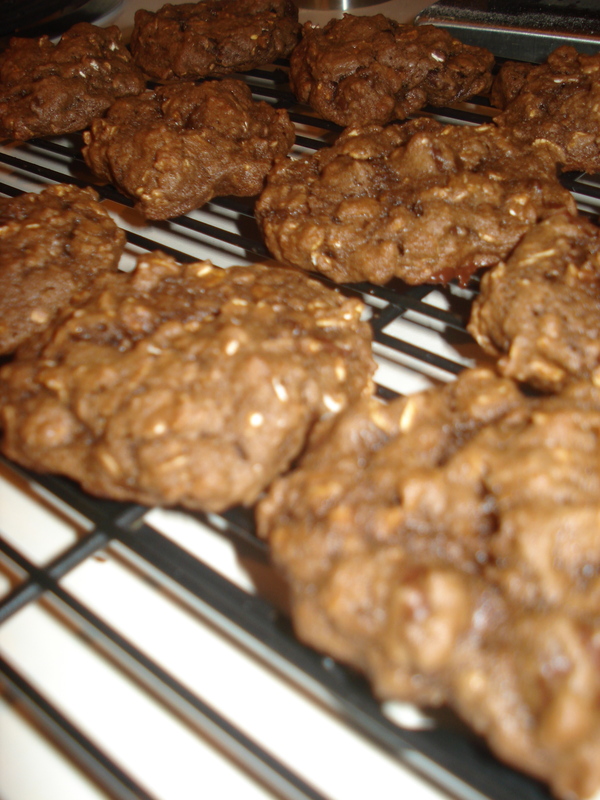 I got this recipe idea from a super cute blog that I recently discovered, Peanut Butter Fingers. 1. 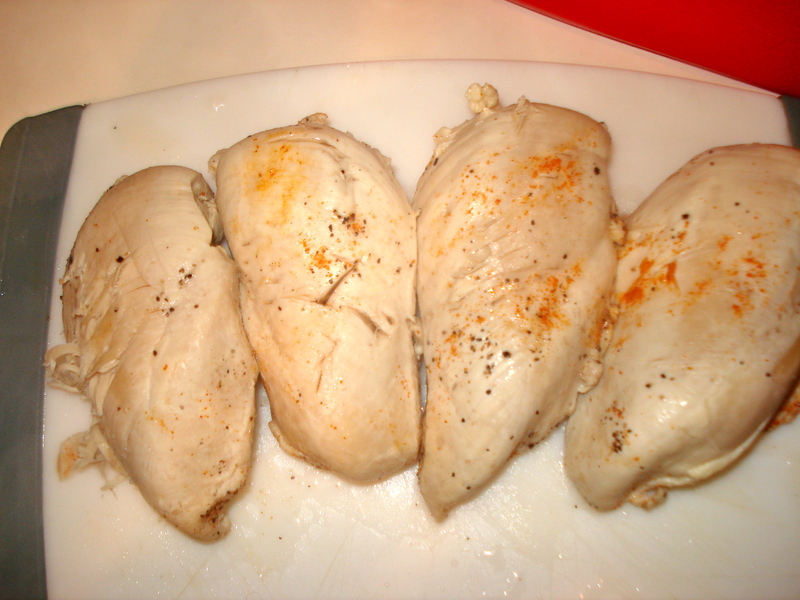 Sprinkle chicken breast with salt, pepper, and ground red pepper. 3. 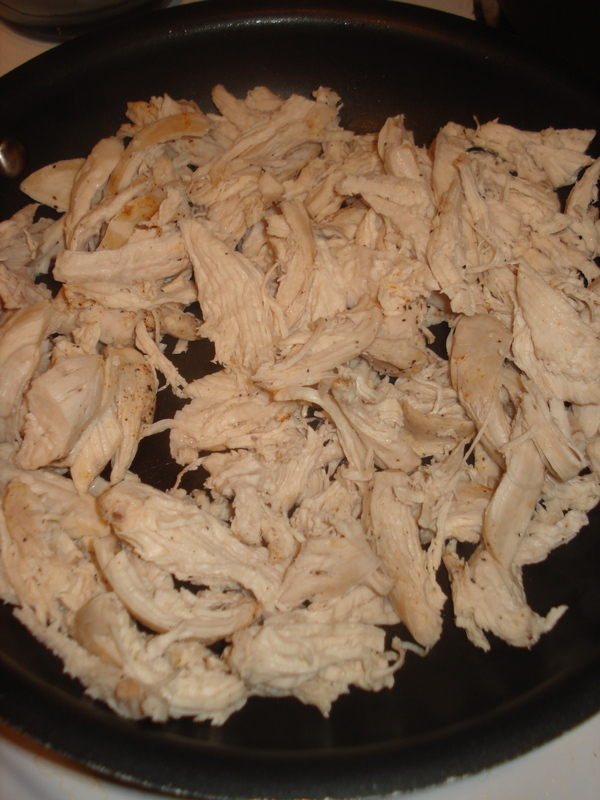 Shred cooked chicken and place in saucepan. 4. 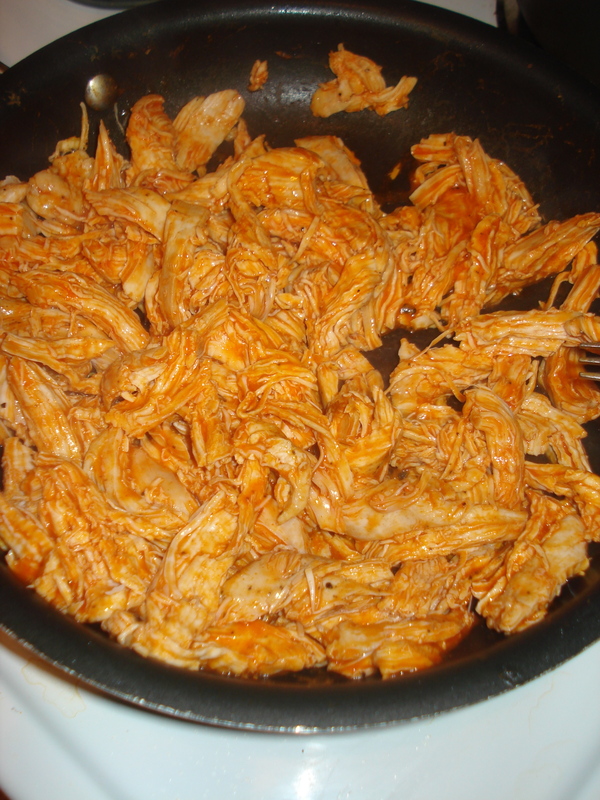 Add 1/3 cup of buffalo sauce and 1 tablespoon of shredded parmesan cheese. Heat all together on medium heat. 5. Serve on bun of your choice, along with any another toppings you typically like on your buffalo chicken sandwich. 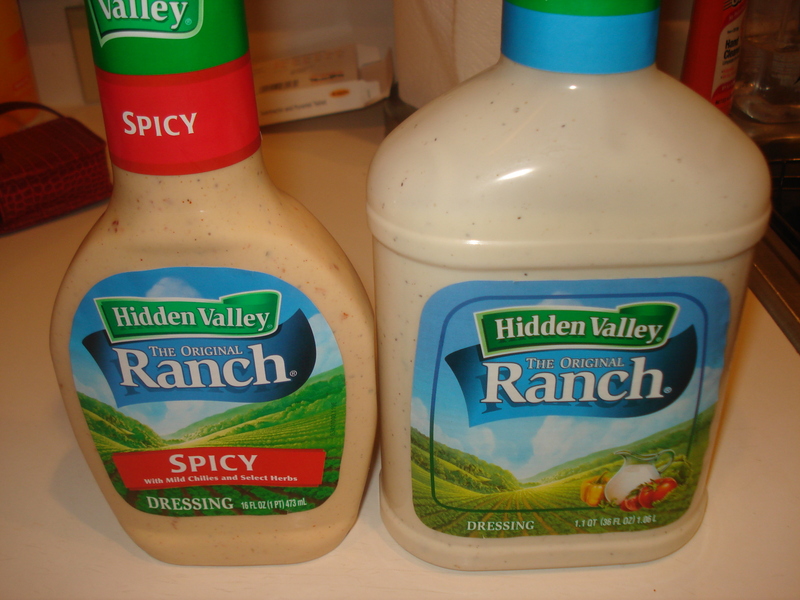 We are a big fan of ranch dressing and I recently discovered a spicy ranch dressing…YUM!! 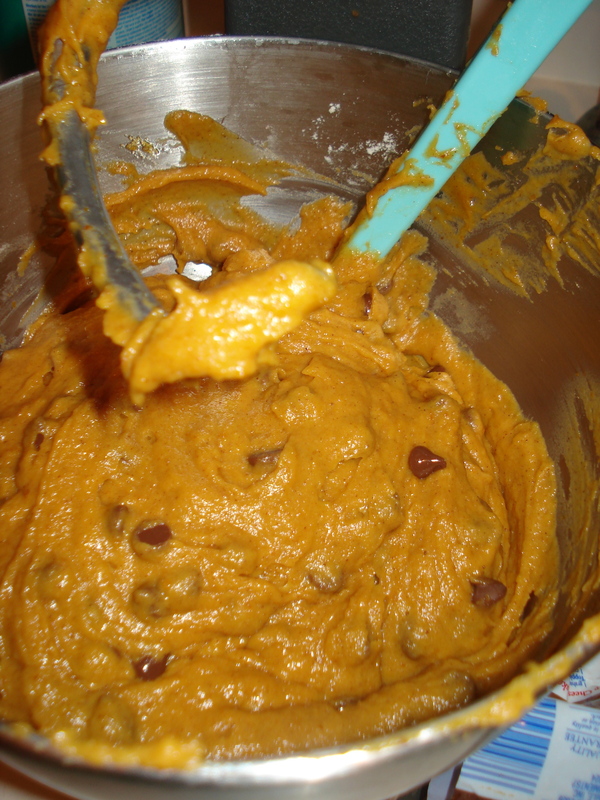 Brace yourself for an AWESOME recipe. I made green bell peppers stuffed with ground beef and rice for dinner tonight. 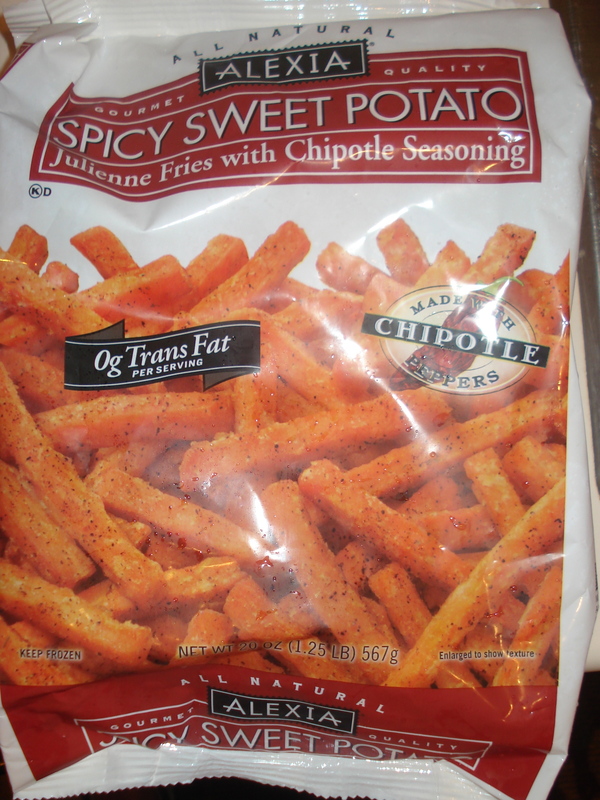 Growing up my mama always made these for dinner. 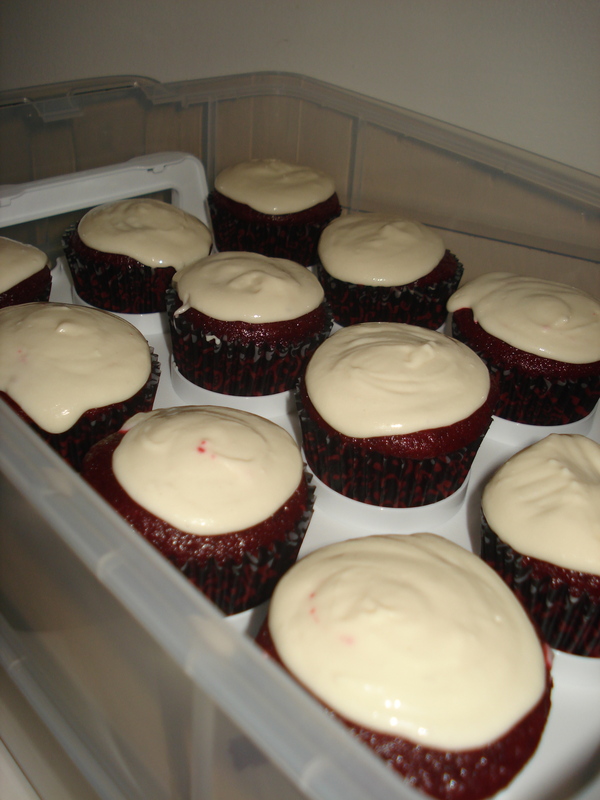 She gave me her recipe and I swear I was following it, but mine never turned out as good as hers. The stuffing always dried out. Perhaps I wasn’t putting enough love in to it. But tonight, I had no such problem! 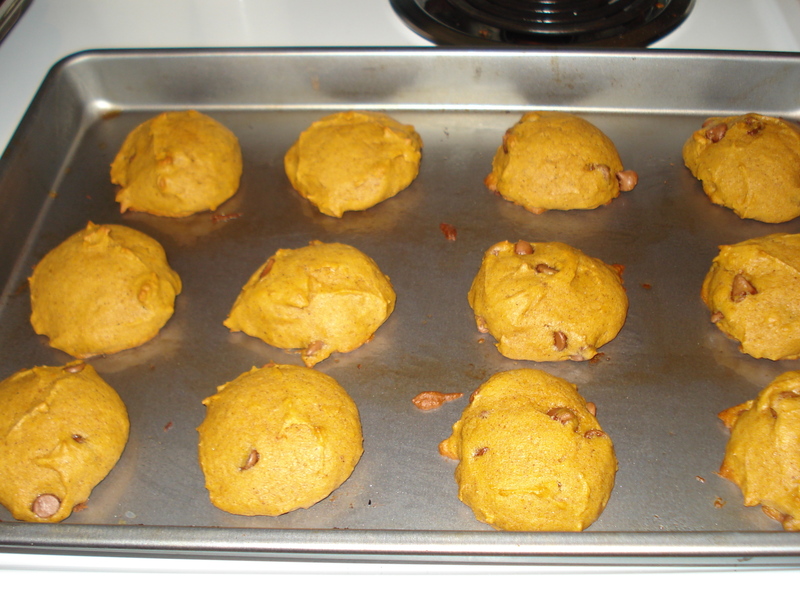 I combined my moms recipe with a couple other ones that I found online…mission successful. Cut tops of green peppers off. Chop off enough of the tops of the green peppers to have 1/4 cup diced green pepper. Remove seeds and membranes from inside of peppers. 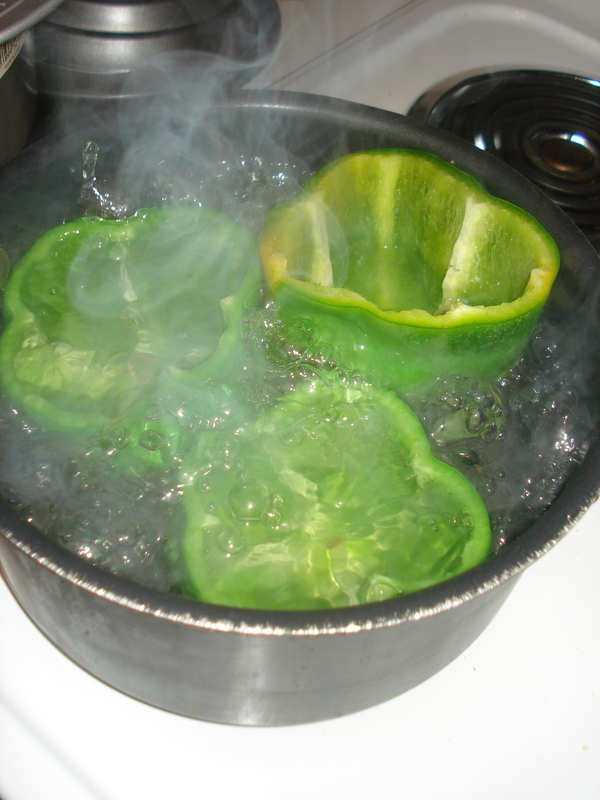 Place whole green peppers in pot of boiling water, uncovered for 5 minutes. 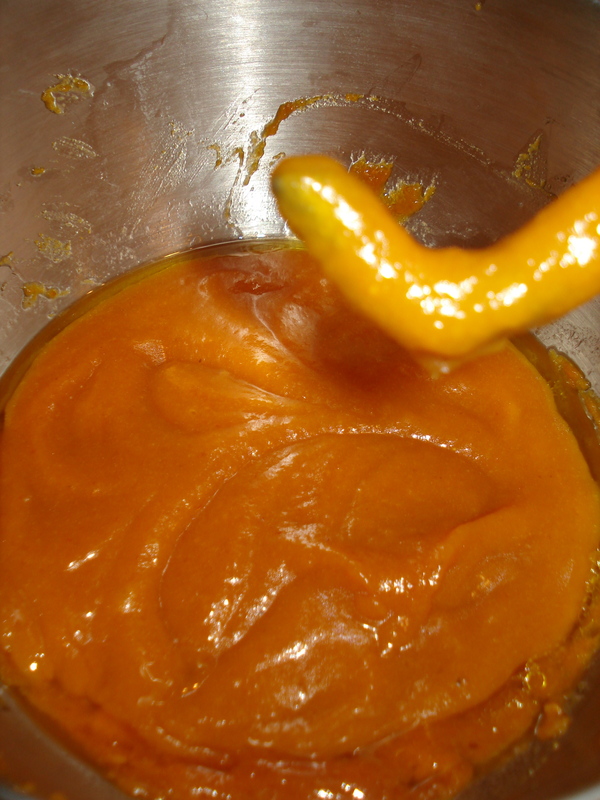 Remove from pot and invert on paper towel. Heat olive oil in skillet. Brown onions, ground beef and 1/4 cup of chopped green pepper. Drain off excess fat. 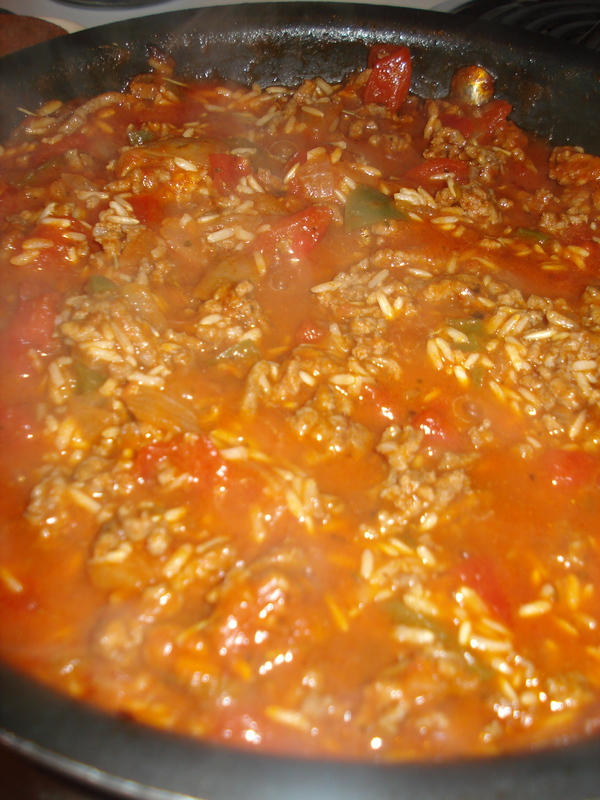 Add 1/2 can of undrained, diced tomatoes, 1/2 can of tomato sauce, rice, water, salt, italian seasoning, crushed red pepper, and black pepper to ground beef mixture in skillet. Stir in cheese. Sprinkle salt on inside of green peppers. Stuff peppers with meat and mixture. 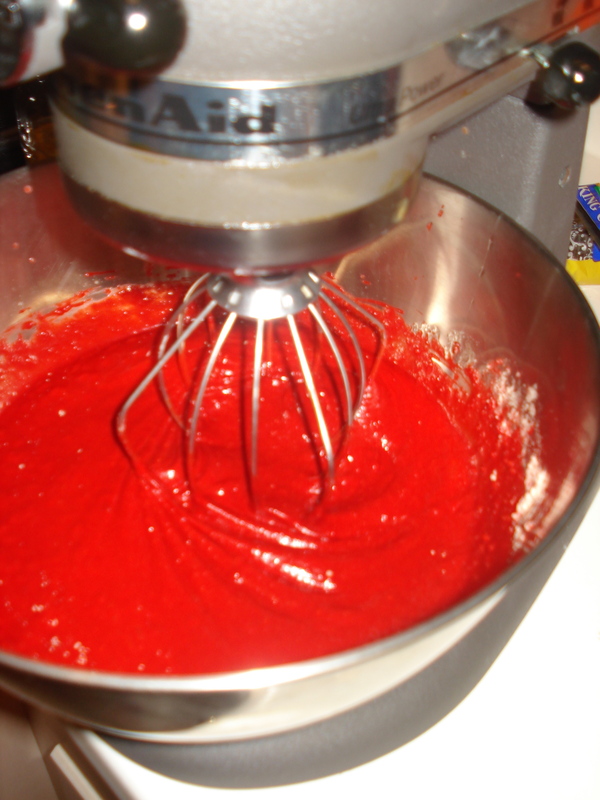 In a casserole dish deep enough to hold green peppers up right, add remaining 1/2 of tomato sauce and 1/2 cup of water. This will act as a “bath” for the stuffed peppers to finish cooking in. 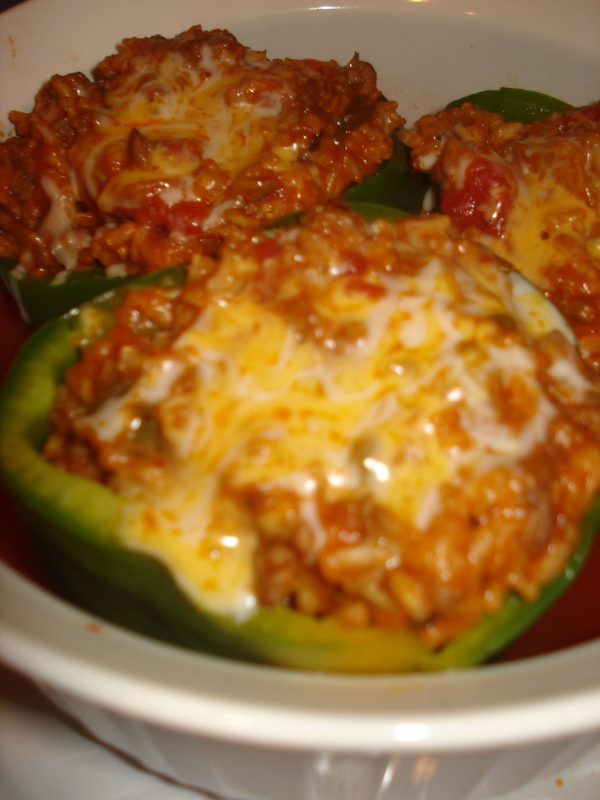 Place stuffed peppers in casserole dish. Sprinkle peppers with a little extra cheese. 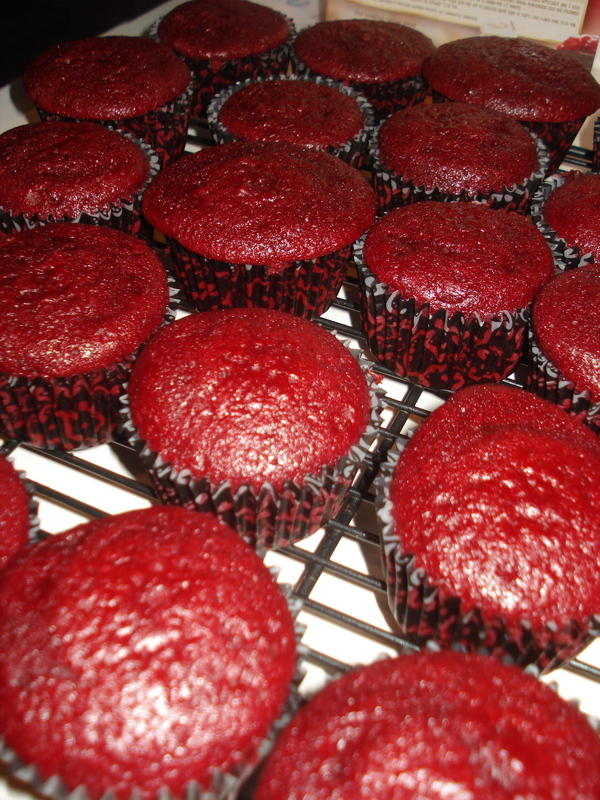 Cover and bake on 400 degrees for 20 minutes.